It's been a year since a news comes out that Alexander and Kibum were kicked out from UKISS..
|I was taking up my Physics exam that time when i received a text message about what happened. I tried to stop my tears from falling but I just cant help it. I cried. Buckets of tears fell from my eyes. I cant accept the news i just received. ALEXANDER LEE EUSEBIO is my ULTIMATE KPOP LOVE> He has everything, in fact, he is perfect. Thinking of the fact that I will no longer see him on UKISS' music videos is like thinking how can I breath with no air. Alexander is my one and only inspiration. You know,I studied Korean and other languages because i want to be just like him.. I also wanted to take up Communication Arts in college but my parents won't allow me to study in Manila. I live in a province 6-hours away from Manila. I wasn't even able to see UKISS when they came here in the Philippines. I felt my world crashed. By that time, I thought that was the most awful thing that could happen to me. But I was wrong. There's worst. 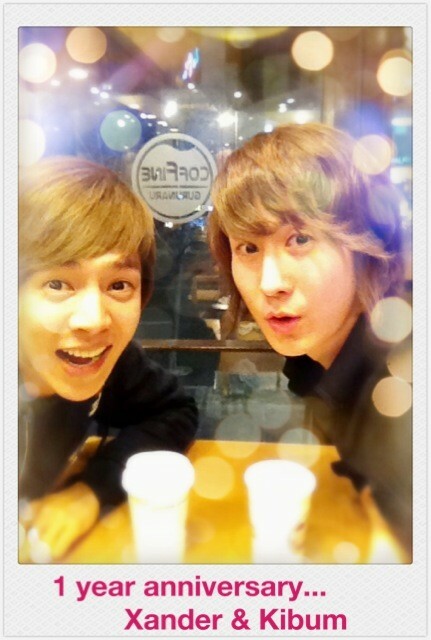 Alexander,is now not a Ukiss member. I cried for weeks..even months when I remember everything about UKISS. I felt weak. I thought, I should stop being a KPOP fan. It hurts a lot. Especially, losing someone you loved the most. As I type this blog, tears are falling from my eyes, thinking of the fact that, my greatest LOVE, ALEXANDER LEE EUSEBIO will never notice me. He didn.t even know i exist. This isn't a simple fan-love. I dreamt of a life with Alexander. If i had the chance to meet him, for sure Iwill not be able to stop my tears from falling. Happiness..and sadness..
One thing i wish,is somehow,Alexander Lee Eusebio will notice me. These tears are for him. I wouldn't mind crying gallons of tears if it's because of Xander. I know that maybe this is just a dream that will never come true..